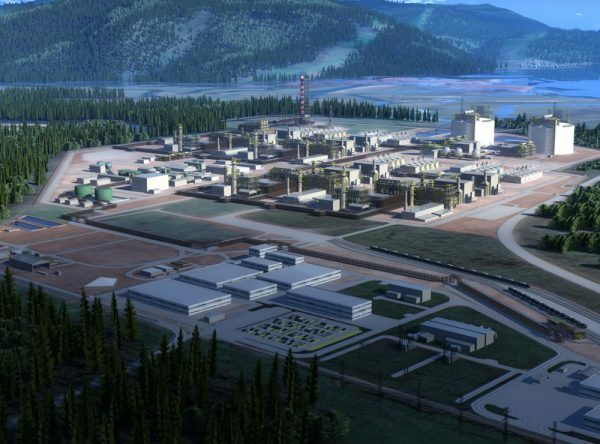 The LNG Canada project, a joint venture led and operated by Royal Dutch Shell, located in Kitimat, British Columbia, the westernmost province in Canada. Shell has taken a final investment decision on its US$31.2 billion major LNG project in Kitimat, British Columbia in Canada. LNG Canada’s joint venture partners have also taken FID, meaning construction will commence immediately and first LNG can be expected before the middle of the next decade. Global LNG is expected to double by 2035 compared with today’s demand. Much of this growth comes from Asian countries where coal is being displaced by gas. With a relatively short shipping distance to North Asia, Canada LNG has a strong advantage over LNG projects located in the Gulf of Mexico which has a 50 per cent longer shipping distance. Canada LNG has a 40-year export license in place and all major environmental permits have been secured for the plant and the pipeline. The project has been designed to achieve the lowest carbon intensity of any liquefying natural gas project, aided by the partial use of hydro power. Global oil and gas operator, Shell, is still examining their plans for the massive LNG terminal on the northern coast of British Columbia in Canada. Company officials have recently said the $40-billion project is looking very promising and excitement for project kick-off is increasing among project watchers. Co-owners of LNG Canada are currently awaiting a crucial ruling from the Federal Court of Appeal on tariffs in September. Should the outcome rule in favour of LNG Canada FEED is to be expected by the end of this year, opening up a huge job market in British Columbia and Canada. Shell are expecting more than 4500 workers to flood into Kitimat, a community with a current population of just 8000 residents. Final investment decision (FID) by LNG Canada’s five partners is expected by the end of 2018. With its favourable B.C. 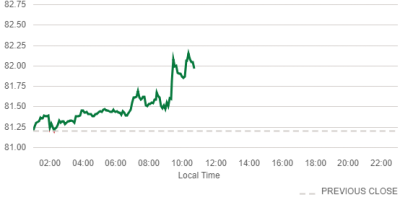 North Coast location, LNG Canada will be able to ship liquefying natural gas straight to China, South-Korea rand other Asian markets in record low eight days. In comparison, it takes 20 days for LNG shipments to reach Asian markets from the Gulf of Mexico and 14 days from the Middle East. Asian markets are key consumers of LNG with China surpassing South Korea last year as the world’s second largest importer of LNG by volume, and Japan remaining as the world’s largest consumer by volume. Demand in Southeast Asia and India is also rapidly growing, raising demand for LNG facilities such as LNG Canada. First shipment from LNG Canada is predicted to depart by roughly 2023. Once constructed LNG Canada will have annual processing capacity of 6 million tonnes of LNG per train (two trains currently included in the work scope). Through future expansion the annual total capacity could increase to 26 million tonnes of LNG per year. 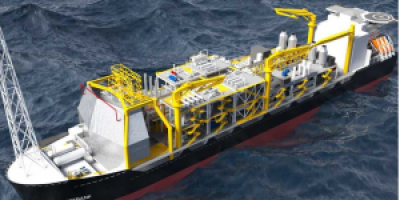 The joint venture partners of LNG Canada, PetroChina (20%), Mitsubishi Japan (15%) and Kogas South Korea (15%), are yet to make a final investment decision on the project. They are targeting a FID (final investment decision) in the second half of 2018 with contracts currently being awarded for the different stages of the project. The project, which includes the liquefying plant, gas pipeline and several upstream facilities has a price tag of roughly US$32.2 billion (C$40 billion). For the engineering, procurement and construction work scope covering Trains 1 and 2, a consortium of Fluor of the US and JGC of Japan has emerged as the preferred bidder. Nikkei, the world’s largest financial newspaper estimates the contract to be worth US$14 billion. In 2014 the CFSW group, a joint venture between the Canadian subsidiaries of Chiyoda and the-then Foster Wheeler, Saipem and WorleyParsons was awarded a contract to provide front-end engineering and design services, but it was cancelled due to the challenging industry environment. In recent months a major hurdle for LNG Canada was removed as the B.C government announced a suite of special taxes, previously imposed by the Liberal government. The taxes included a special LNG tax on exports and electricity rates that were higher than the typical industry rate. However, there is still one major hurdle remaining as the Canadian government imposed a 45 per cent tariff on fabricated steel from South Korea, China and Spain. Large LNG modules needed for the LNG plant have never been built in Canada and will therefore be fabricated in Asia and imported. This could add 100s of millions of dollars to the cost of the LNG modules. LNG Canada has applied to the federal government for an exemption from the tariff, but no decision has been made. Over the past 10 years Mentor IMC Group have successfully provided specialist expertise to LNG projects around the world and will continue to do so in the future! We are always on the lookout for new talent so make sure you visit our oil and gas job opportunities page!